Should You Use Packing Services? Moving to a new house can be stressful, we’ve all been there. There is a lot of organisation involved and when you have a lot going on in your life, this can be a tricky task to get right. One of the best ways to take some of the stress away is by using a premium packing service. A packing service will save you hours of time as professionals pack up and secure your personal belongings, ready to be transported to the new house. The first thing you’ll need to consider is cost, is it worth the money to purchase a packing service? At Quicksilver, we would highly recommend this to all customers as it ensures that your items are fully secure and are packed up properly. The packing service may cost a little extra but the time it saves you makes it more than worth it. When you ever request a removal quote with us, the packing service can be incorporated into the price if this is included. You also want to ensure that the packing company is able to wrap up your larger items such as appliances or large furniture. These items may require extra attention when it comes to the packing process, so make sure your packing company is informed on any large or unusual items. They can then prepare for this before the move, allowing them to purchase any additional packing materials that are required. Combined with a removals service, a packing service adds to this in order to make it a comprehensive service. If you want everything to be taken care of by the removals company then a packing service will be ideal for you. You can sit back and relax whilst everything is done for you! A packing service will normally be organised a few days before the move or sometime around then. On the day of packing, the team will arrive at your property with all the right materials, ready to get the job started. We would recommend that you place your items in piles if you want certain items to be packed together, as this will make it much easier for the packing team. Also, if you have any personal items that you do not wish to be packed you should also ensure that these are hidden away or already packed by yourself. When you choose to move with Quicksilver Moving & Storage, you are entitled to a discount on all packing materials. 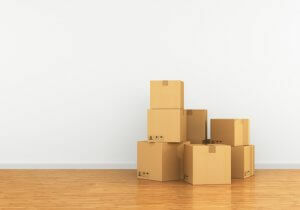 You no longer have to spend hours looking for boxes or asking friends and family to lend you them; we have a selection of different moving boxes and materials available to purchase at our box store. So, the question is, should you purchase a packing service? If you want to spend the time packing your belongings then perhaps not, but if you want a stress-free move then yes is the answer! Contact Quicksilver for all removal and packing needs! Based in Newcastle, we can move you from the North East to anywhere in the country, and even overseas! Call us on 0191 264 6677 for more information.